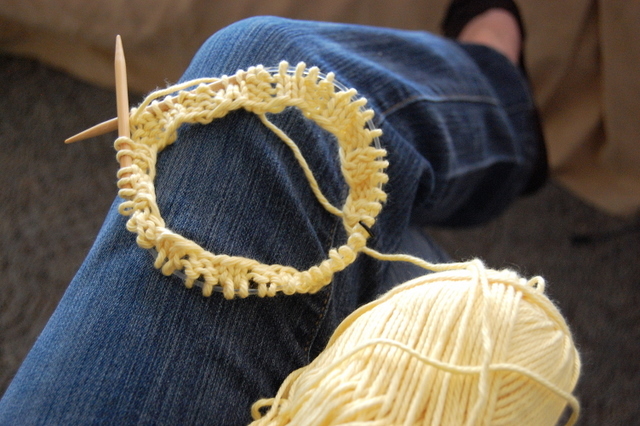 I received some yummy yellow yarn from My sister-in-law Trisha for Christmas. 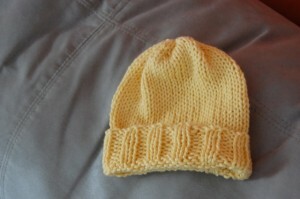 I wasn’t sure what I wanted to make, so here I am 3 weeks from my due date, knitting up a hat and possibly booties. 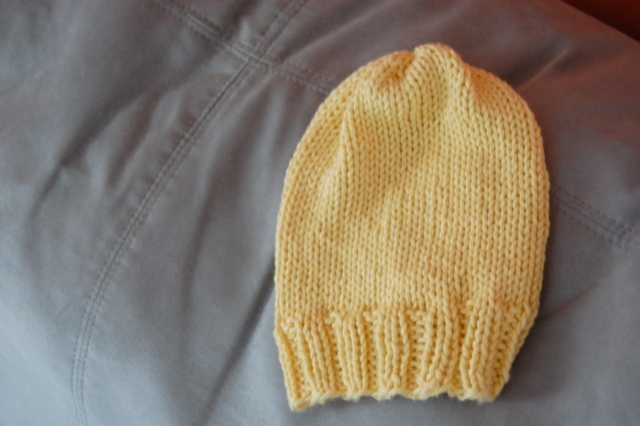 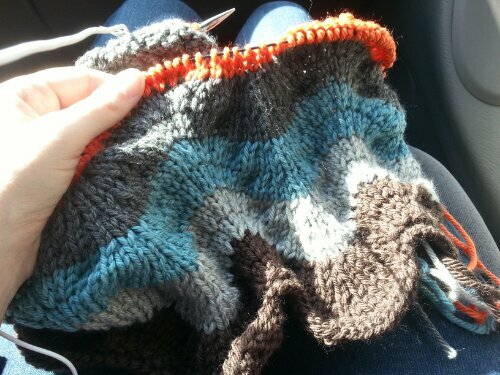 The yarn is so very soft and easy to work with that I wish it would have taken me longer to knit!